We take a 7- 8 hrs bus ride to Arughat bazaar in Gorkha district. 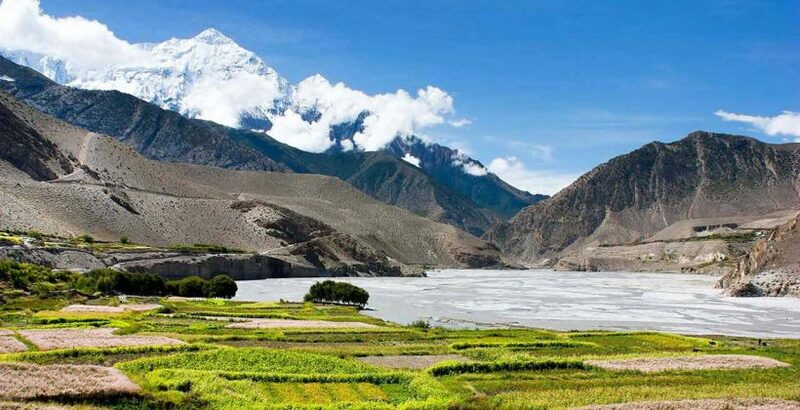 The village of Arughat is in two parts, on opposite sides of the Buri Gandaki. Arughat Bazaar is large, clean and prosperous with hotels and shops selling cloth, food and hardware. From the bus stop we trek for two hours to Arkhet bazaar. 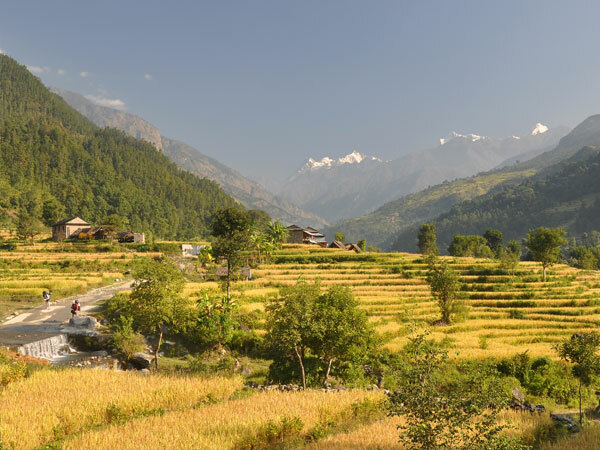 We pass through Gurung and Magar villages and terraced fields along the way. From Arkhet Bazaar we take the trail to Machha Khola. 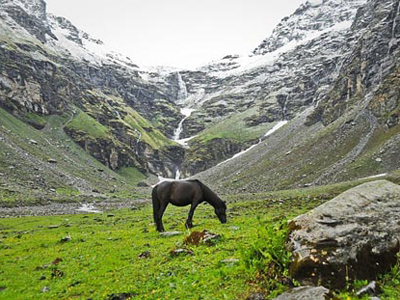 Machha Khola is a village situated above a stream with the same name. We set up camp at a good campsite. From Macha Khola we trek to Yaru Khola. 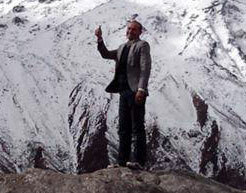 The village of Yaru Khola at 1,330m has a good campsite near the Buri Gandaki river. The river meanders serenely among gravel bars. from Yaru Khola we trek to Lokpa. Lokpa is the first village as you enter the Tsum Valley. The local people are farmers and grow potatoes, gucchi mushrooms and soya beans. From Lokpa we trek to Chumling Tanjo. 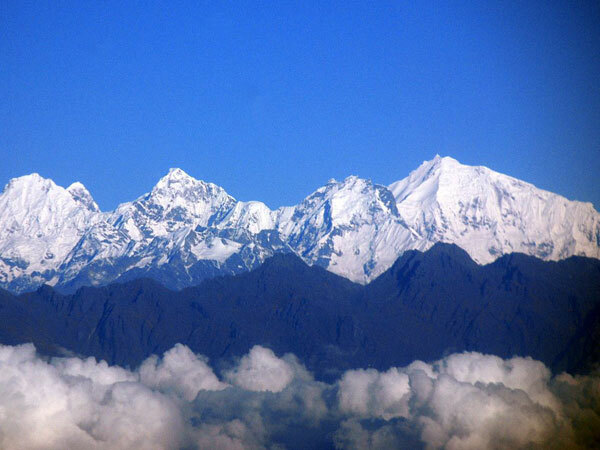 We can see the Baudha Himal(6672m) and Ganesh Himal VI on a clear day. 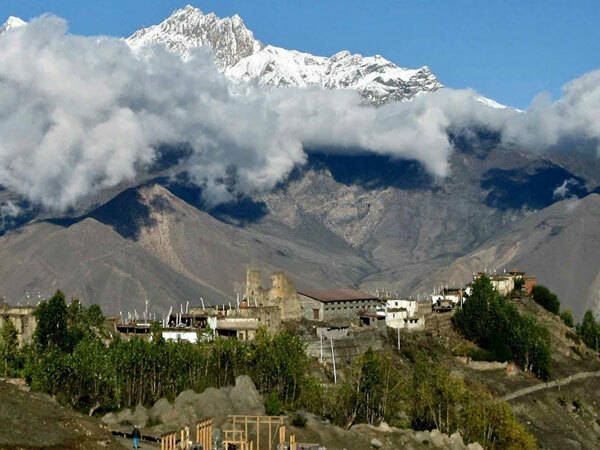 Chumling has three monasteries: Panago Gumba, Mani Dhungyur and Gurwa Gumba. There are also several good campsites. There is a telephone service and health post too. 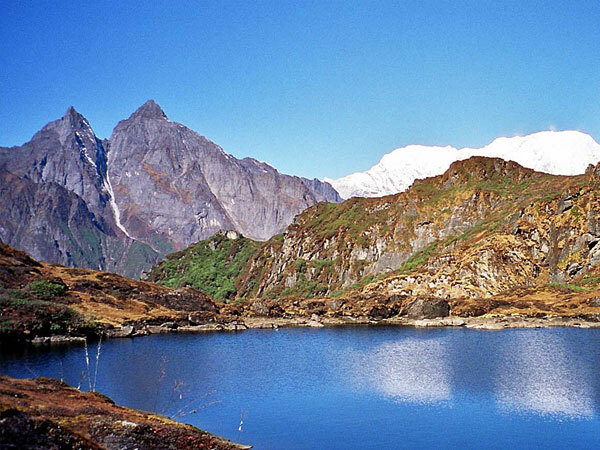 From Chumling we trek to Chhokangparo. 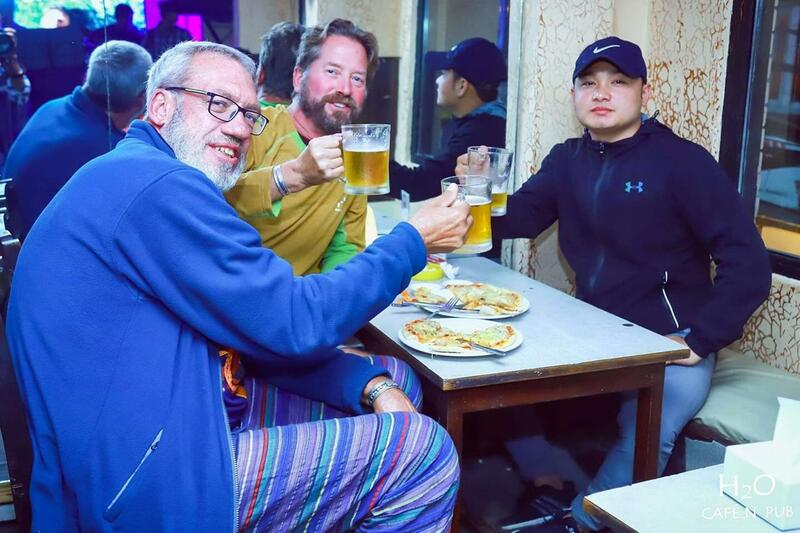 Upper Tsum valley (part of the Inner Himalaya) open from Chhokangparo, where hospitality local people (Tibetan group “Tsombo”) welcome you with traditional Tibetan Chiya (butter tea) and local meal. From Chhokangparo we trek to Nile/ Chulle. This is the last village heading north in the upper Tsum Valley. Nile is on the western , sun-side of the Shiar Khola, about 20 minutes walk across from Chhule. On the way we pass the Piren Phu cave. Piren Phu(pigeon cave) is one of the most sacred caves in the Tsum valley. It is located at the foot of a rugged cliff near the village of Burji. 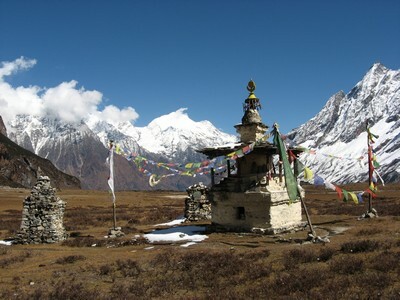 Milarepa, the famous Tibetan saint, was believed to have meditated here. There are two separate gumbas attached to the rocky cave. Richly painted Buddhist murals, excellent artistic scripts carved on stones, long prayer flags and significant Buddhists paper scripts make this cave one of the most important socio-cultural asset in the valley. Beautiful views can be had of the Shiar Khola, Rachen Gumba , the mountains and settlements amidst vast agricultural land. Dephyudonma gumba is one of the oldest monasteries in the Tsum Valley and is situated in the rugged mountains, a 2 hr walk from the village of Chhule and Nile. The history of this monastery is directly associated with the dawn of Buddhism in the valley.The monastery is run by Lama Serap of Nile Ladrang from the Kangin sect. There are a few campsites and dinking water facilities. 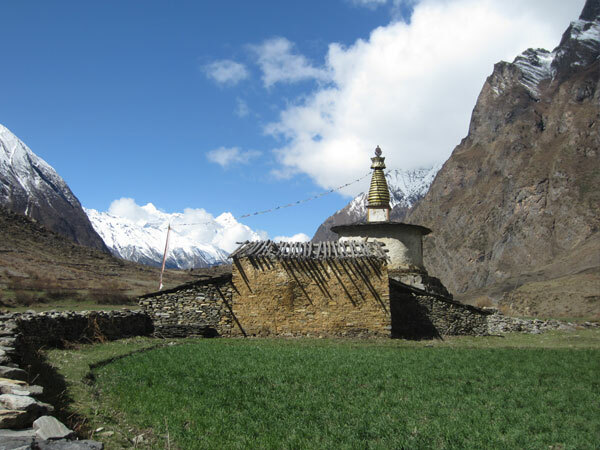 Rachen Gumba is one of the largest nunneries in the Tsum Valley, with 80 nuns currently studying.It was established in 1905AD.Iyt houses the nuns belonging to Ngak-pa sect, which does not allow animal slaughter.Dhumje is a small village with about eight houses and adjoining cattle shed. From Dumje we trek to Philim and cross Ripchet. on the way we witness one of the most beautiful falls in the Lower Tsum Valley, Samba Tingding Chhupyang. 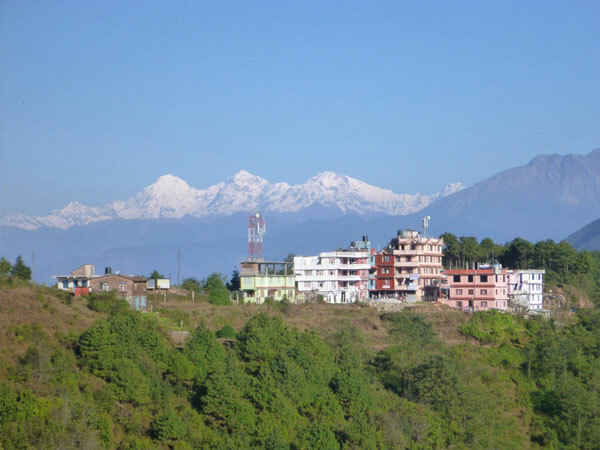 Phillim, at 1550m, is a large Gurung village with fields of corn and millet. The trail that climbs through the village and heads up over the ridge leads to Ganesh Himal Base camp. From Tatopani we trek to Lapubeshi, a Gurung Village. We pass through terraced fields and tropical waterfalls. We camp at the village. As we make our way from Lapubeshi to Arughat Bazar, we come to the last leg of our journey.